The owners of Riverside Hotel are spending $750,000 to upgrade and fix elevators at the facility. That’s according to minutes from a May 23 meeting of the Rochester Economic Development Corporation (REDCO). The REDCO board approved loaning the owners, 120 EMS Management, LLC $250,000. The work is almost complete, according to one of the owners, David Christa. A September inspection report confirms the elevators needed repairs. Two of the six elevators were not in service and two had violations. At the time of the loan approval, Robert Morgan was a co-owner of the hotel. Unlike City Council, which blocked a loan for a different Robert Morgan project in November 2017, REDCO was apparently not troubled by the FBI probe of Morgan’s real estate deals. Minutes indicate at the time REDCO approved the deal, Morgan was involved in the project. Christa said Morgan left the ownership group in August. The city denied our open records request for any loan and grant documents related to the hotel, saying the loan has not closed. Christa confirmed the deal hasn’t closed, even though the work on the elevators is almost complete. The expense comes at a time when the owners declared their intention to tear down the building and construct a $250 million entertainment complex. Christa said the elevator repairs were necessary to accommodate guests in the near-term. Christa told the Democrat and Chronicle that he anticipated construction would not start for at least a year and take 30 months. 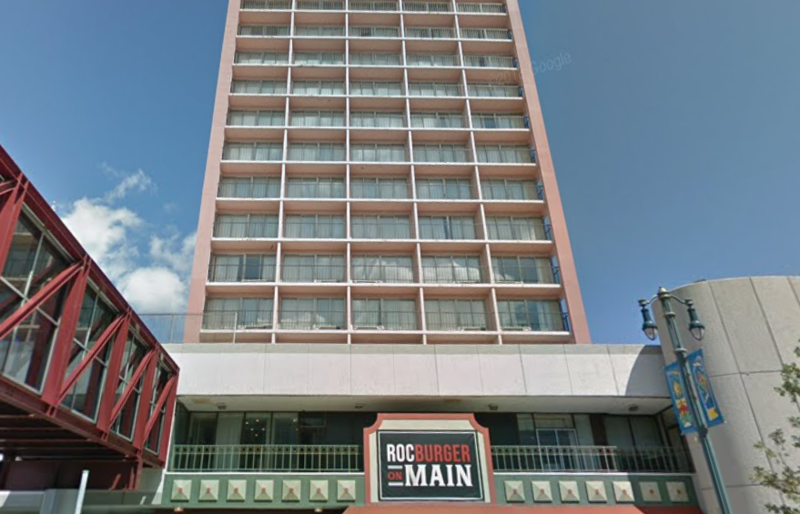 The hotel owners filed a lawsuit against the city in May over the assessment of the Riverside Hotel and parking garage. The owners argue the hotel, purchased for $7.2 million last year, should be assessed for $525,182. It’s currently assessed at $5.2 million. The owners believe the garage, assessed at $2 million, should be assessed at $198,760. We’ve asked the city for an update on the lawsuit. The assessment remains unchanged on the city’s website. “We are asking the city to reduce the assessment to the property’s market value which will be determined by a certified appraiser. It is not unusual to get real estate taxes adjusted based on current market conditions. There are dozens of these such cases pending in the City and County,” Christa said in an email. The Hyatt, also owned by Christa, is assessed at $18 million. The Hilton Garden Inn is assessed at $5.25 million. Rochester Plaza is assessed at $4.1 million. If I submit an offer of 1 million for the property , well above what he thinks it is worth. Think he will sell? They must be the worst developers I’ve ever heard of that can purchase a property for over 7 million and in less than a year it is worth less than a million dollars. It’s a damn shame that taxpayers got a foot the bill for these millionaires and their little pet projects. Tear that building down to the ground and create parcel six. Thanks for outing this stupidity.and that’s what I’m way to describe it. Another word that leads to mind is corruption. How do we prevent REDCO from doing this? Is there an accountability or review mechanism?